The RedRock™ RR121-1B93-312 is a magnetic sensor with digital logic output from Coto. It features an operating sensitivity of 30G with an omnipolar magnetic field response all with a supply voltage of 3Vdd (typical), an average supply current drain of 36µA, as well as a high operating temperature from −40°C up to +125°C. The RedRock™ RR121 series is ideal for use in medical, industrial, automotive, and consumer applications. Based on patented Tunneling Magnetoresistance (TMR) technology with seamless CMOS integration, the RR121 series offers multiple configurations of several parameters to enable applications like proximity sensing, rotary sensing and level detection. 1. Unless otherwise specified, Vdd =2.7V to 3.6V, TA = −40°C to +125°C. Typical values are Vdd = 3V and TA = +25°C. 2. Conditions: t = 10 seconds. 3. Conditions: BHYST = BOP-BRP. The RedRock™ RR121-1B13-312 is a magnetic sensor with digital logic output from Coto. It features an operating sensitivity of 30G with an omnipolar magnetic field response all with a supply voltage of 3Vdd (typical), an average supply current drain of 0.2µA, as well as a high operating temperature from −40°C up to +125°C. The RedRock™ RR121 series is ideal for use in medical, industrial, automotive, and consumer applications. Based on pate.. The RedRock™ RR121-1B13-311 is a magnetic sensor with digital logic output from Coto. It features an operating sensitivity of 30G with an omnipolar magnetic field response all with a supply voltage of 3Vdd (typical), an average supply current drain of 0.2µA, as well as a high operating temperature from −40°C up to +125°C. The RedRock™ RR121 series is ideal for use in medical, industrial, automotive, and consumer applications. Based on pate.. The RedRock™ RR121-1B53-311 is a magnetic sensor with digital logic output from Coto. It features an operating sensitivity of 30G with an omnipolar magnetic field response all with a supply voltage of 3Vdd (typical), an average supply current drain of 1.44µA, as well as a high operating temperature from −40°C up to +125°C. The RedRock™ RR121 series is ideal for use in medical, industrial, automotive, and consumer applications. Based on pat.. The RedRock™ RR121-1A23-311 is a magnetic sensor with digital logic output from Coto. It features available operate sensitivity of 30G with an omnipolar magnetic field response all with a supply voltage of 3Vdd(typical), an average supply current drain of 0.24µA, as well as a high operating temperature from −40°C up to +125°C. The RedRock™ RR121 series is ideal for use in medical, industrial, automotive, and consumer applications. Based on pate.. The RedRock™ RR121-3C63-311 is a magnetic sensor with digital logic output from Coto. It features an operating sensitivity of -10G with a bipolar magnetic field response all with a supply voltage of 3Vdd (typical), an average supply current drain of 1.44µA, as well as a high operating temperature from −40°C up to +125°C. The RedRock™ RR121 series is ideal for use in medical, industrial, automotive, and consumer applications. Based on paten.. 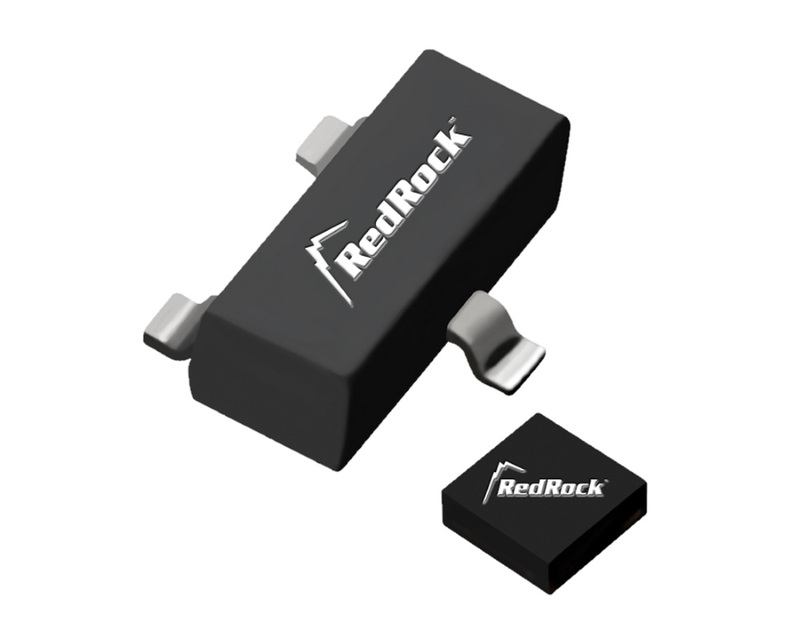 The RedRock™ RR110-A111-00 is an analog TMR magnetic sensor from Coto. It features a resistance at 0G of 65000 Ω (typically) with an unipolar magnetic field response all with a supply voltage of 15Vdd (max), an operating current 1µA (typically), as well as an operating temperature from −40°C up to +85°C. The RedRock™ RR110 series is ideal for use in medical, industrial, automotive, and consumer applications. Based on patented Tunneling .. 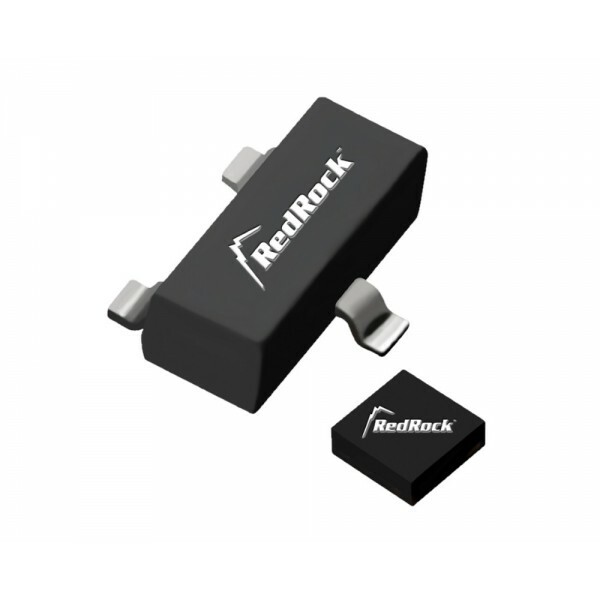 The RedRock™ RR111 series is a TMR analog magnetic sensor from Coto. It features zero hysteresis with an omnipolar magnetic field response all with a low average current drain of 1.6mA for a continuously active magnetic sensor, supply voltage of 3.6Vdd, as well as an operating temperature from −40°C up to +85°C. The RedRock™ RR111 series is available in a SOT-23-3 or LGA-4 package sizes, it is ideal for use in medical, industrial, automotive, .. 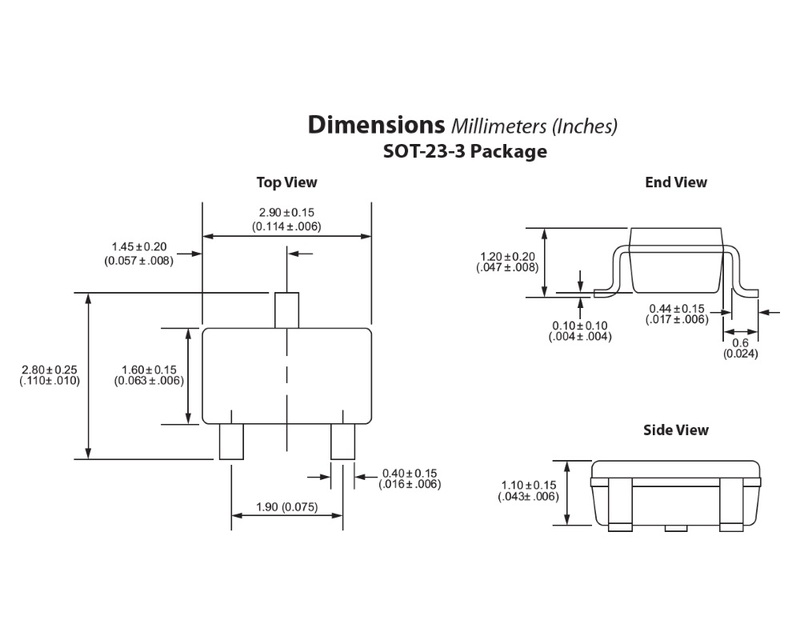 The RedRock™ RR131-1B13-351 is a digital magnetic switch from Coto. It features an operating sensitivity of 30G (typically) with an omnipolar magnetic field response all with a supply voltage of 3Vdd (typically), an average supply current drain of 0.2µA (typically), as well as an operating temperature from −40°C up to +125°C. The RedRock™ RR131 series is ideal for use in medical, industrial, automotive, and consumer applications. Based on pat.. The RedRock™ RR121-1F23-311 is a magnetic sensor with digital logic output from Coto. It features an operating sensitivity of 70G with an omnipolar magnetic field response all with a supply voltage of 3Vdd (typical), an average supply current drain of 0.24µA, as well as a high operating temperature from −40°C up to +125°C. The RedRock™ RR121 series is ideal for use in medical, industrial, automotive, and consumer applications. Based on pat.. The RedRock™ RR121-1A53-311 is a magnetic sensor with digital logic output from Coto. It features available operate sensitivity of 9G with an omnipolar magnetic field response all with a supply voltage of 3Vdd(typical), an average supply current drain of 1.44µA, as well as a high operating temperature from −40°C up to +125°C. The RedRock™ RR121 series is ideal for use in medical, industrial, automotive, and consumer applications. Based on paten.. The RedRock™ RR121-1E73-311 is a magnetic sensor with digital logic output from Coto. It features an operating sensitivity of 15G with an omnipolar magnetic field response all with a supply voltage of 3Vdd (typical), an average supply current drain of 8µA, as well as a high operating temperature from −40°C up to +125°C. The RedRock™ RR121 series is ideal for use in medical, industrial, automotive, and consumer applications. Based on patent.. The RedRock™ RR121-2A32-364 is a magnetic sensor with digital logic output from Coto. It features available operate sensitivity of 9G with an unipolar magnetic field response all with a supply voltage of 3Vdd (typical), an average supply current drain of 0.28µA, as well as a high operating temperature from −40°C up to +85°C. The RedRock™ RR121 series is ideal for use in medical, industrial, automotive, and consumer applications. Based on p.. The RedRock™ RR121-3C73-311 is a magnetic sensor with digital logic output from Coto. It features an operating sensitivity of -10G with an bipolar magnetic field response all with a supply voltage of 3Vdd (typical), an average supply current drain of 8µA, as well as a high operating temperature from −40°C up to +125°C. The RedRock™ RR121 series is ideal for use in medical, industrial, automotive, and consumer applications. Based on patente..